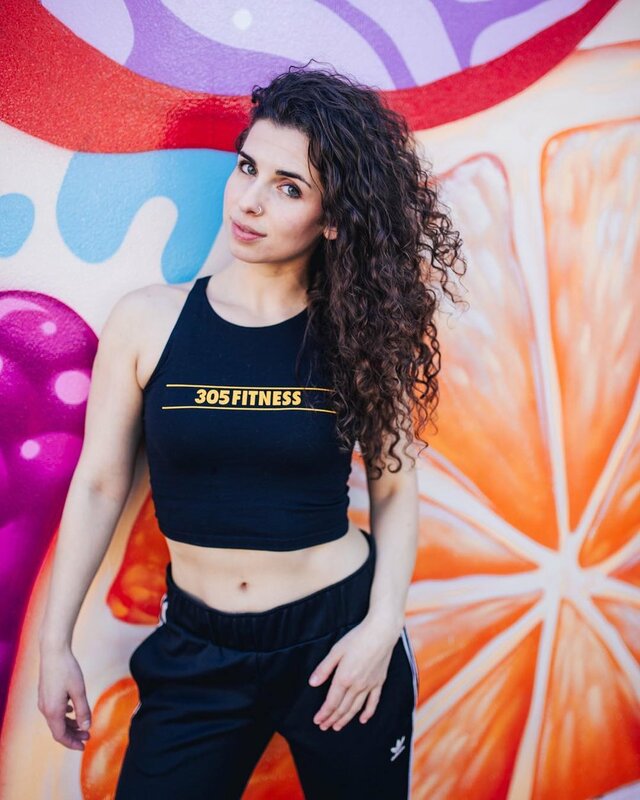 When our HBIC started this brand at 22 years old, with a $25,000 prize from a business pitch contest, she had no idea ((305)) would grow so big and so fast. "I gave myself 12 months to try it. If I couldn't support myself after 12 months, I would move on to Plan B. Truth is, I didn't have a Plan B." At 28 years old, our founder and official ((305)) Party Starter resides on the Upper West Side, lives with her beau, juggles constant travel, early mornings, late nights, and non-stop meetings as the face of the brand. Here's how she makes time to stay healthy and stay on top of her career game. “Believe it or not, I don't work out everyday. I work out 5 times/week. Sometimes 4. I wish I could work out in the afternoon. That's when I need the energy boost. But realistically, I'm working out really early, before the day starts. If I can't fit in a workout, I stay active. I'll foam roll, at least. Or stretch for 5 minutes. I'll also take calls when I walk. I'll schedule 4 or 5 calls back to back and go on a long walk. Those little iPhone Air pods were a game changer. And if all else fails, I take a really hot shower and then switch the water to freezing cold. It at least gets my blood circulating faster and gives me the endorphin rush." "Travel can wreck my immune system. So I do everything I can. When I get on a plane or the train, I wipe down the seat with sanitizer. I'm rubbing my immunity essential oils everywhere. My neighbors think I'm crazy. I don't care. I'm not getting sick. I have my nasal spray and I'm using it every hour on a plane. I've got a scarf on, too. In Chinese medicine they believe you lose a lot of your chi through your neck. At least I think so. Anyway, it doesn't hurt! I'm chewing on Sambucka and Elderberry. I might look crazy. But I'd rather look crazy than get home and be sick for 3 days." "You know, who the f*ck really knows? It's true, there isn't a single diet that works for everyone. I'm still trying to make peace with food. It's a lifelong journey. The most important thing is that food doesn't control my life. I don't want to die and think 'what a waste. all those minutes I spent worrying about cheesecake.' So I try to have perspective, enjoy a good meal, eat the cookie. Life is short. I'm trying this new intermittent fasting thing. I don't recommend it for those who are recovering from eating disorders or those who get "hangry." But it's working for me. I try to do 12-16 hours between dinner and breakfast. So I stop eating at 7pm and don't eat until 9am or 10am the next day. It's helped me feel less bloated and overall more energetic." "I used to think '6 hours no problem.' But then I was honest with myself. I'm 10x more productive and moreo focused if I can get a full 8 hours. I'm in bed by 10:30, 11, no excuses. I'm up early. I need 7 or 8 hours. It's non-negotiable. I find I can still get all my work done, I just can't always go to dinner or the movies. And yeah, some days are a lot of wake up, work, bed, repeat. But I like what I do, I know what I'm doing matters, so I'm okay going very hard during the day as long as I can get my full rest at night." WANT MORE SADIE IN YOUR LIFE? US, TOO!